I’m somewhat smitten by the upbeat pop sounds of one of Sub Pop‘s new signings from the past year or two. It’s a little band out of Australia with a weird, long band name: Rolling Blackouts Coastal Fever. If I didn’t have better things to do, like listen to this EP again unhindered by the Internets, or watch the latest episode of Bob’s Burgers that iTunes tells me I need to go download, I’d scour the web looking for how the hell this band coined their name. Truer to the fact, it’s because this band creates some pretty catchy music that is undeniably fun and inherently cool. You hear it in the title track. The band just released a video yesterday for the final A-side track, “Sick Bug”. It’s the perfect into to warm summer weekend days. That opening riff. Each time I hear it, I want to scream MORE COWBELL. Can you hear it? It’s a similar chord progression and guitar styling used in “(Don’t Fear) the Reaper” by Blue Oyster Cult, which found it’s way into the famed Christopher Walken / Will Ferrell skit. SNL – More Cowbell from Tobias Åkerlind on Vimeo. The song that takes the cake for me, though, is the closer of the six song EP, “Fountain of Good Fortune”. It has a more emotional punch than many of the other songs on The French Press. 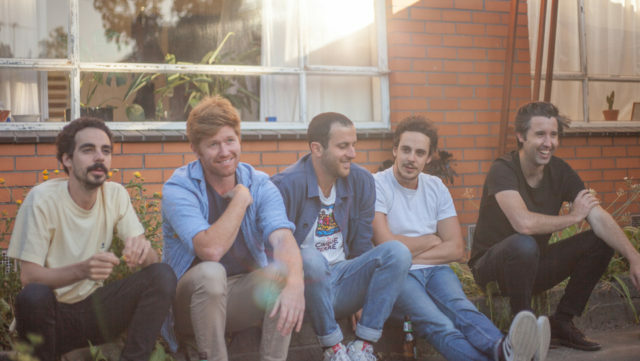 It’s at this cusp of pop and emotion where Rolling Blackouts Coastal Fever is at its best. The French Press follows Rolling Blackouts C.F.’s Sub Pop debut, last fall’s Talk Tight. Both are stellar, but I think this one is better (if by just a slight margin), as it has more refined pop hooks and seems to be a bit more well rounded. 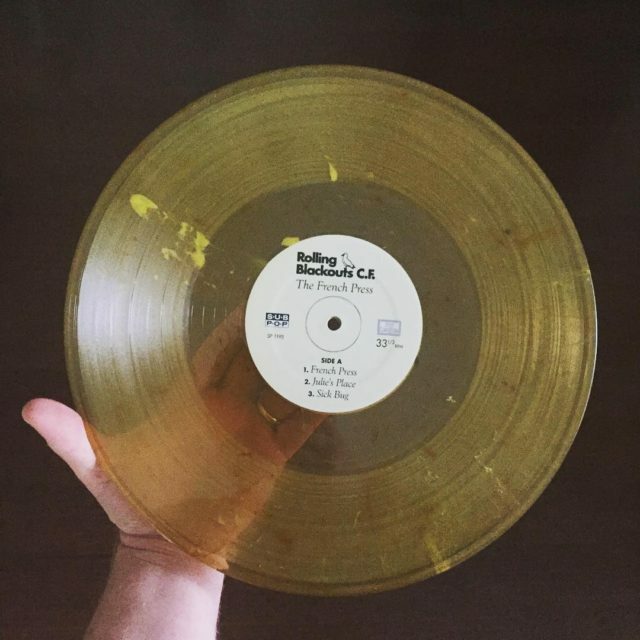 While the Loser Edition, pictured above, is now sold out, you can still snag a fresh piece of new wax from Sub Pop or from the band on Bandcamp.